Gastric Sleeve Surgery in Tijuana Mexico - Affordable Weight Loss Surgery. Bariatric Surgery in Tijuana Mexico with Dr. Jorge Maytorena, specializing in Gastric Sleeve Surgery. "Long Term WLS / VSG" Mexico's premium bariatric surgery source, providing affordable weight loss surgery to cost conscious American and Canadian bariatric patients. 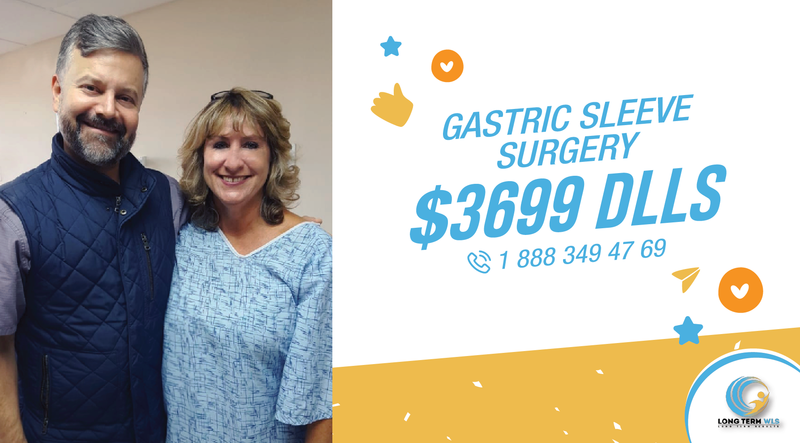 Dr. Maytorena specializes in laparoscopic bariatric procedures, Dr. Jorge Maytorena has performed over 6000 successful bariatric procedures, therefore he has become one of the best option for gastric sleeve surgery in Tijuana Mexico. On the other hand is very important to mentioned that his team of professional and certified medical staff are among the best in their field. Gastric Sleeve Surgery, Gastric Bypass Surgery , Gastric Sleeve SADI- S , Revision Surgery, Duodenal Switch Surgery , Mini Gastric Bypass. In LTWLS/VSG we understand our clients needs, besides offering high quality health care in Mexico, we modified some of the bariatric procedures"cost to an amazing affordable price according to every one of our clients budget. Dr. Maytorena is able to provide an affordable weight loss surgery price by the fact that he has a genuine approach to the wellness of his patients, and therefore he decided to offer the most complete and affordable option for bariatric surgery in the Tijuana Mexico. By designing an advertisement strategy that allows us to approach patients through lower prices and broader reach LTWLS/VSG has become the leading source for bariatric surgery in Tijuana Mexico. Gastric sleeve surgery in Mexico with Dr. Jorge Maytorena starts at $3,699 Dlls. With time and certain factors surgery costs will gradually return to its regular price of $4,500 USD. In Long Term WLS/VSG , we always offer the best quality in our customer service. The security of our weight loss surgery clients is our main objective . Dr. Maytorena relies on his refined technique, experience and professional staff to provide weight loss success to all patient. Our trusted and professional approach to our weight loss surgery program has provided a secure and reliable option for patients. Long Term WLS are proud to provide a one to one communication with our patients, we provide a direct trusted communication. Long Term WLS is a source for weight loss surgery that recommends leading bariatric surgeon, Dr. Maytorena. 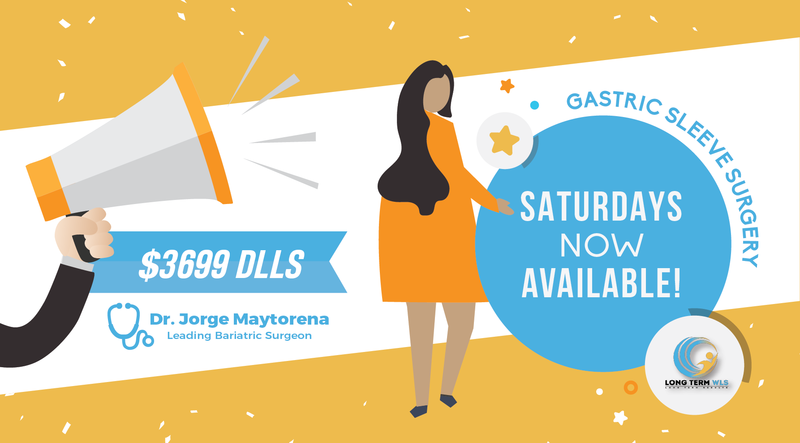 Dr. Maytorena specializes in laparoscopic (VSG) gastric sleeve surgery in Tijuana, Mexico. 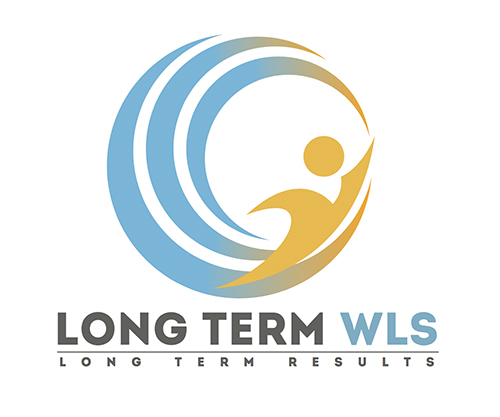 Long Term WLS offers and experience surgeon with one of the most impressive strong track records in his field. Dr. Maytorena has an elite status and superb reviews all over the internet and in particular Youtube, Facebook and Realself.com. Other weight loss procedures are offered, such as Gastric Bypass, Mini Gastric Bypass, Sleeve SADI S and Revision Surgery. Gastric sleeve surgery, also known as Vertical Sleeve Gastrectomy (VSG), essentially makes the stomach smaller, making you feel full faster than normal, accelerating your weight loss. Besides that this method involves removing about 80 to 85% of the stomach, leaving at the end a thin tube like sleeve. It is the most commonly performed weight-loss operation after 34 years of accumulated experience. It has stood the test of time with its long-term effectiveness. This type of surgery involves an anatomical alteration of the digestive system to e successfully and permanently put a remedy to obesity. Revision weight loss surgery is a surgical procedure performed on patients who have already undergone bariatric surgery before. This procedure may be needed when complications arose or when the first surgery did not fulfil the patient’s weight loss expectations. The mini gastric bypass surgery is a very popular laparoscopic procedure; this procedure is commonly used as a treatment for overweight or obesity. Permanent weight loss results...Your new life begins here! Can you picture yourself wearing the clothes you like? Can you imagine going to the beach and just enjoy the day, the sun and friends, feeling confident and gorgeous, and showing the real you? What about recovering your love life, But most importantly regain your health and retrieve the confidence in yourself! Smile and get ready for your new you, the person you deserve to be. Dr. Jorge Maytorena is among the best weight loss surgeons in Mexico. Dr. Maytorena's staff is genuinely dedicated to help you make long-lasting life changes with a variety of weight loss surgical procedures. From advanced minimally invasive surgery techniques to realistic after-care programs, we help our patients walk an enduring path of healthy weight management to live a healthier, fuller life.